The LG Stylo 2 is a good value for most anyone, but especially for those who want a big phone at a budget price. Boost Mobile sells the Stylo 2 for $180 (on sale for $150 right now) and that's a good deal as far as I am concerned. The Stylo 2 corrects some of the issues plaguing its predecessor. The phone is slim, light, attractive, and well made. It carries over the processor, but improves the memory, storage, and camera in big ways. The display isn't the best I've seen, but it suffices. Battery life is absolutely killer, but the phone suffers a bit from network and calling issues. It's nice to see Android 6 Marshmallow ship on a low-cost device. (Most phones sold with Marshmallow right now are high-end handsets.) LG's user interface may be annoying to those who prefer app drawers, but it is a flexible skin that provides plenty of opportunity for personalization. The camera app has just the right set of tools and takes pictures that should be good enough for most people. 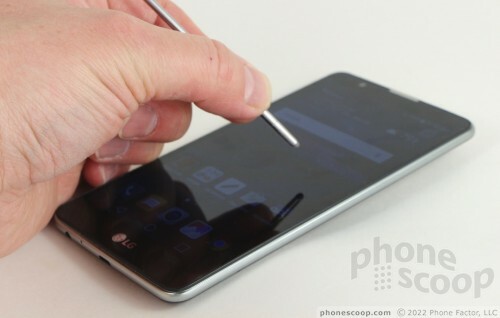 If you're in the market for a phablet on a prepaid plan, the LG Stylo 2 is worth a look. LG has a handful of new phones on display in Barcelona that are not the G5. The Stylus 2, X cam, and X screen round out the middle of LG's profile and are interesting smartphones in their own right.